My family is going through a season where we have to watch our language. We have a two year old politeness monitor who has been told that she can’t say “stupid.” So every time I say “stupid” (because let’s face it: sometimes things really are stupid), I hear, “No Daddy, you not say that” in a hushed, condescending tone that is usually reserved for, say, a presidential debate moderator. Just as “stupid” is a word that’s not allowed in our house (unless something really is stupid), “visitor” is a word that we steer clear of at our church. For years, it’s fallen on me to be the resident language cop, making sure that we’re calling people “guests” rather than the dreaded V-word. Although it’s a tiny hurdle, it’s often one of the most difficult for a church to overcome. We’re accustomed to speaking in terms of the number of visitors we had, the location of visitor parking, the time in the service where we ask the visitors to stand and introduce themselves and tell us the sin that they’re currently struggling with (What, you don’t do that? Oh, you should definitely do that. Visitors love that!). If you’re a pastor or a hospitality leader, try making that small one-word tweak this weekend, and see what kind of difference it’ll make. 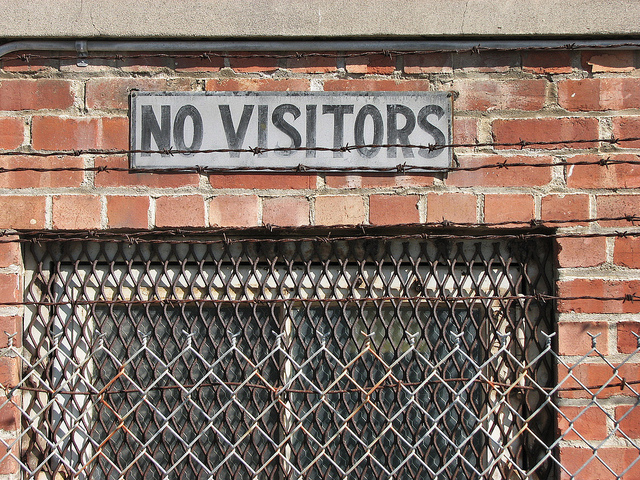 Because calling people “visitors” is…well…just stupid. What are other off-limits words in your ministries? Comment below. “Should” is a word I try to avoid — for myself and for the expectations I put on others. We have stopped using the word “volunteer” and replaced it with “crew member”. Volunteer Crew envisions serving something bigger than yourself. Especially in a church setting we want the people who serve to know they are part of a team and other people are relying on them. I love it! Thanks for sharing, Steve!